bbs.chrismoore.com -- View topic - Hello from Chicago! Longtime reader, first time poster. Here anyways. I am from the Chicago, the city proper. I have two cats and a French husband. I'm a huge nerd and I love to read. Whenever someone asks me for a book recommendation Christopher Moore is always at the top of my list. I singlehandedly created at least 4 more CM fans in the last two years. I once emailed our famed Author Guy and he wrote back. A real email, not some lame form letter. It was really cool of him to take the time and write to a fan. And now this message board? Awesome. Here's a picture of my cat, Oliver. He is king of all he surveys. If image too big, let me know. I'll size it down. And yes, I know cheekey is spelled cheeky. It's phonetic, for my Froggie husband. I'm a whooore for Moore. Goudron should be along shortly for your ACCSS. Bring pie. Got it. Posting nekkid, in my office, standing up, not involved with any Canadian, I've even denounced my Canadian roots. Keep eyes to the floor around the talent. I'm intrigued by this ACCSS. I can totally bring pie. Congrats on the converts to fandom. Well, the ACCSS will only be smoother if it's a cream pie. Welcome to the nuthouse, cheekeymonkey. I singlehandedly created at least 4 more CM fans in the last two years. Just a guess, but since humans have a gestation period of roughly 9 months and it generally takes two to tango, at some point you had artificial insemination and at least one multiple birth? You've been busy! or they could have been frankensteined together, modern science is pretty amazing. and who doesn't want zombie fans? welcome aboard cheekey thanks for the zombies! You is liking this pi pie? Uh...maybe created is the wrong word. I've converted lost souls the way of AG. Welcome Cheekey! 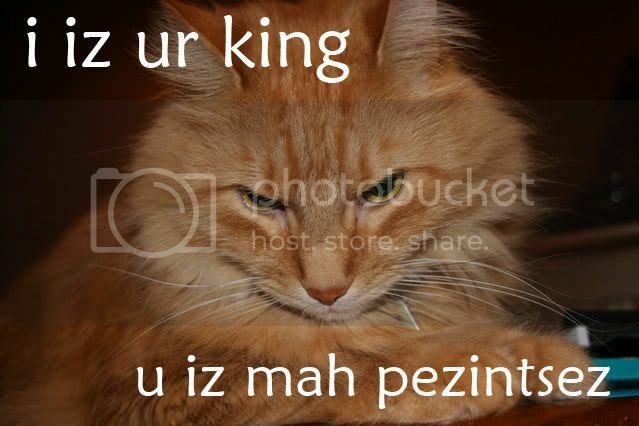 I like your lolcat. OMG! 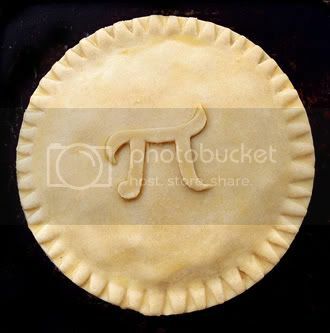 it's geeks meet dorks in totally flaky deliciously pi pie!!! I thought it was too good to ever become truth! thank you. Hey! Welcome to the board. I'm currnetly out in the 'burbs, & converting as many people as I can. Of course, Chris makes that pretty darn easy. we loves our nerd pi(e)!